The Wants and Warrants Search uncovers information that may not be included in regular criminal record searches. This nationwide search is invaluable to employers who realize the key benefits, what information may be revealed, and how to maximize the information this service provides! What is a Want? What is a Warrant? For the sake of simplicity, think of the “want” as the reason law enforcement or the courts desire to make contact with an individual: wanted by the FBI, wanted for questioning, wanted as a potential witness. A warrant is the actual document: an order of a court which is issued when an individual failed to appear in court for the sentencing of a crime, or they are in contempt of court, or they have an outstanding balance of fines owed. The warrant allows law enforcement to arrest and bring that individual before the judge. Bench Warrants appear in court record searches because they originate in the court. These warrants are issued if an individual was ordered to appear in court but failed to do so. Arrest Warrants, also known as Criminal Warrants, only appear in court records if there is a charge arising from that warrant. Criminal or Arrest Warrants are different than bench warrants because they are issued by a law enforcement officer. The National Wants and Warrants Search accesses thousands of court records for outstanding wants and warrants on your applicant. The warrants reported are active for individuals that law enforcement is currently pursuing. The difference between a Wants and Warrants report, as is described above, and Criminal Records is the status within the courts. 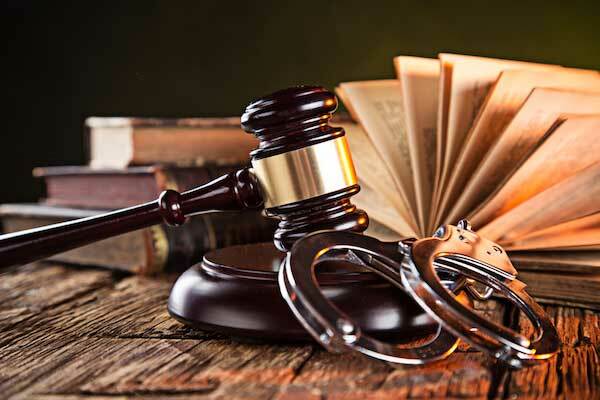 It is important to recognize that Wants and Warrants are similar to “arrest” status, where the subject has not been convicted or found guilty. On the other hand, Criminal Records may report arrests or non-convictions (only when permitted by law) or, most commonly, convictions. As long as a criminal conviction is not restricted by federal, state or local statutes, it can be used to influence an employment decision. However, Wants and Warrants hits have not necessarily been adjudicated by the courts as “guilty” and therefore may carry restrictions for the purposes of employment. As an employer, it is important to uncover any negligent behavior on potential employees. Often times this information is found through several sources and cannot be thoroughly revealed in a simple background check. In other words, a warrant may not be found by merely running a Verified National Criminal Search. Performing a National Wants and Warrants Search will ensure you are uncovering the most up-to-date and accurate information on your applicant. Want more information on a comprehensive background check? Check out our blog HERE! While we are on the subject of a more comprehensive background check, this is the perfect opportunity to discuss ongoing employment background screening. You confirm your employees completed an academic program and have no criminal or traffic convictions since being hired. Choice ReScreen provides the opportunity to confirm that excellent conduct. Do you expect employees to openly discuss criminal activity during employment? (If you do, read this article about self-disclosure by medical professionals as required by the Colorado State Board.) This is the time to expose behaviors that could negatively impact your company. Not only has your employee engaged in criminal conduct, but they have not paid their dues. They now have a bench warrant because they failed to show at their court appearance or failed to pay court fees. The Wants and Warrants Search reveals such conduct. Choice ReScreen gives you the tools to maintain an exemplary staff by providing you with an updated background check. Including National Wants and Warrants in the ReScreen will uncover how your employee has been handling themselves during their employment. A National Wants and Warrants Search can uncover two different types of negligent behavior: a criminal or a bench warrant. As part of your background screening program, this important search sets you on your way to a comprehensive background check. With the help of Choice ReScreen, you can rest assured your employees are the right fit for being the face of your company. Are you ready to use a more comprehensive background check?